Sephora Lash Stash To Go (5 Deluxe Mascaras) only $25! 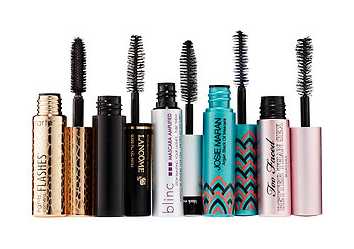 Sephora has an awesome deal available on Deluxe mascaras right now! You can get the Lash Blast to Go set for just $25. This is a sampler set with five of our best-loved deluxe mascaras and an enclosed voucher so you can redeem your favorite in the full size. So it basically $25 for one full size mascara and 5 trial size ones that you can try and test before you commit to a full size one. You can’t lose with this proposition! Before you head to checkout make sure to take advantage of Sephora’s free sample offers. With a $25 order you get up a bonus sample offers. There are to many to list! Just click “View Current Promos” when you are on the checkout page to browse all the promotions available. Thanks Freebies for a Cause!